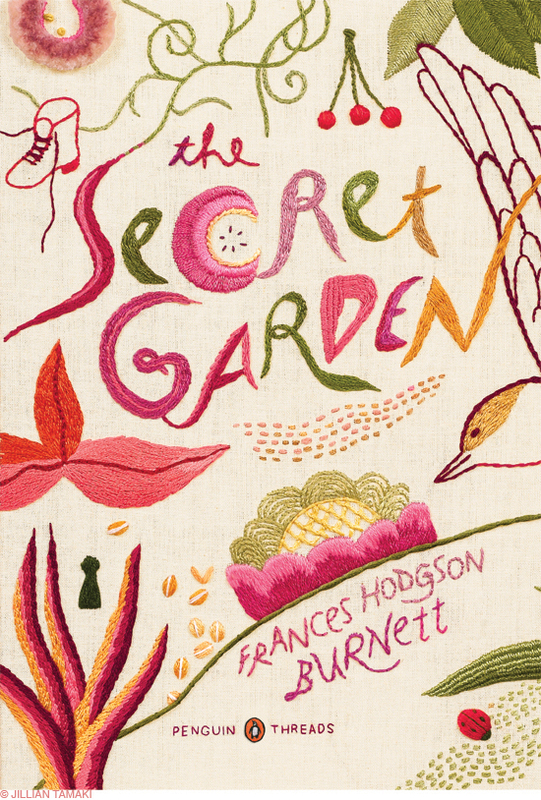 Penguin Classics has just released 3 titles with fabulous new book covers embroidered by illustrator and cartoonist Jillian Tamaki; The Secret Garden, Black Beauty and Emma. It’s exciting to see the artful combination of fine handwork , good design and excellent reproduction used in this way. An accomplished illustrator, who usually draws and paints , Jillian has transferred her artistic talent to needle and thread for this series of book covers. You can see Jillian’s post about the embroideries here. This entry was posted in illustration, Inspiration by Salley Mavor. Bookmark the permalink. What an excellent idea, and so beautifully executed. I love her vision. I loved seeing Jillian’s creative handiwork and the way she included significant quotes from each author. The colors, textures and images on each book jacket truly make the authors’ stories come alive. Thank you so much for sharing this post…I will now be looking for the books at my local store. Cheers and ciao for now. What lovely work….. so nice to see the needlearts expressed on book covers!!! !